By his 20th birthday in 1969, Andy May had played Carnegie Hall and had won the Grand Championship on guitar at the fabled Union Grove, NC, Fiddler’s Convention World Championship, having won First Runner-Up the previous year. In a career spanning over 4 decades and 3 regions of the nation, he has appeared with artists as diverse as Merle Haggard, Pete Seeger, Mike Seeger, Nickel Creek, Brownie McGee and Sonny Terry, Tom Paxton, Jerry Jeff Walker, John Hartford, Ralph Stanley, Joan Osborne, Jim Rooney, Janis Ian, John Prine, Nancy Griffith, and many, many others. He started and runs the IBMA award-winning record label, Swift River Music. He has had songs on Juno- and Apollo Award-nominated albums and T.V. shows, United Way fundraisers, and major T.V. documentaries. He has been a yearly performer and educator at major music festivals like MerleFest (since 2001) and Winfield (since 1989), and a regular workshop contributor to the Country Music Hall of Fame in Nashville, TN. Recently Andy released his latest album, “Retroflections”, which is a kind of re-visitation and reworking of some favorite original songs from his classic catalog. A vagabond spirit permeates Andy’s tales accompanied by acoustic-guitar punctuating arrangements that range from country to folk-rock. Straight off, from track one; you get the impression that this guy is great. Soulful, gritty Americana-rock, with savvy production and earthy guitar work permeates the entire 10-track album. This is one of the best independent alt-country or Americana records in years; totally deserving of your attention! Andy May has decidedly got his own sound, a raw authentic country-inflected Americana that can pile drive on one song and lope on the next. The band’s musicianship on each recording is also nothing short of exceptional. The sheer number of great songs on this album, tell you that this is a guy who’s got a lot more in him. Everyone will love “Follow Your Heart,” “Gentle Breeze”, “The Queen”, “Ride With Me” and “Love, Turn A Heart Around”, but right now I can’t get enough of “Hello.” I’m just sad when it stops after six minutes and four seconds! There is so much honesty, roots and tremendous songwriting in this album. In a world of over-produced formula country and folk-rock, this is a breath of fresh air. For anyone who appreciates Steve Earle or Townes Van Zant and wants to capture the essence of Americana with a bit of shine to it, this is a tremendous album. There are no throw-away cuts. Each song is a story and well worth listening to. I’ve been waiting for an album like this to come; one from an artist you don’t know jack about, but play it repeatedly because it’s simply well written music. 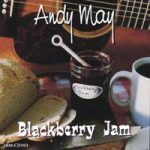 Each song has a very clean, classic feel with Andy May’s strong and crystal clear voice leading the way. It is, however, hard to explain what Andy’s voice does for you on these ten tracks. However it’s one that you don’t have to listen to the lyrics, to know what he’s saying. There are songs that will move you and others that will make you sing along. His wholesome voice and style is just beyond description, and simply stated, very awesome. I can’t say enough about the talents of Andy May and how much I enjoyed the “Retroflections” album. I would not consider myself a country music or folk-rock lover, but if this is how it’s supposed to sound, I could become a huge fan. There is a lot of emotion and heart, not to mention some great guitar picking, in this album!